Dream sweet dreams with the comforting aromatherapy bath and body enhancements we've included in our Essential Healing Spa gift basket. Sweet decadent tea opens with the crisp sensation of orange and lemon while the creamy truffles delight their senses. 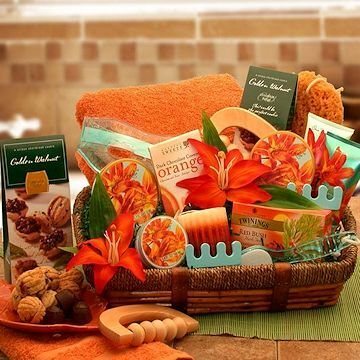 A complete selection of body pampering along with an array of delicious treats make this spa basket the ultimate selection this season.